The real secret to great cooking is a Taylor thermometer. Thermometers are the only way to ensure that foods are cooked to the proper temperature, your oven is calibrated to the correct degree, and that your refrigerator is keeping your food cold and safe. 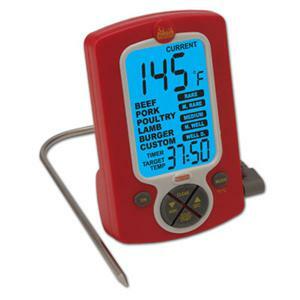 Taylor is and has been the leader in food thermometers, with expertise over 150 years strong. You can count on Taylor for accuracy, superior performance, and dependability. That is why Taylor is tools chef's trust.